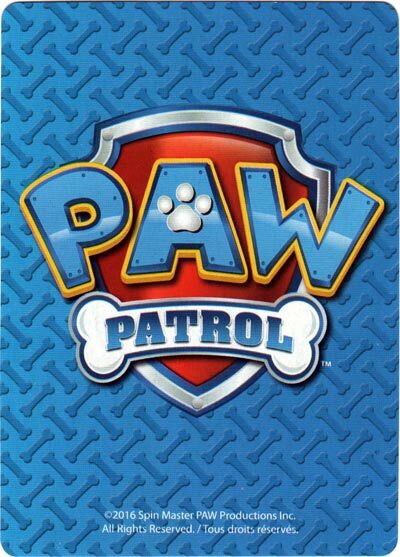 Paw Patrol is a children’s animated adventure series by satellite broadcast channel Nickelodeon, depicting a group of rescue dogs and a tech-savvy boy named Ryder. The associated playing cards are “jumbo” size (twice the size of ordinary playing cards). 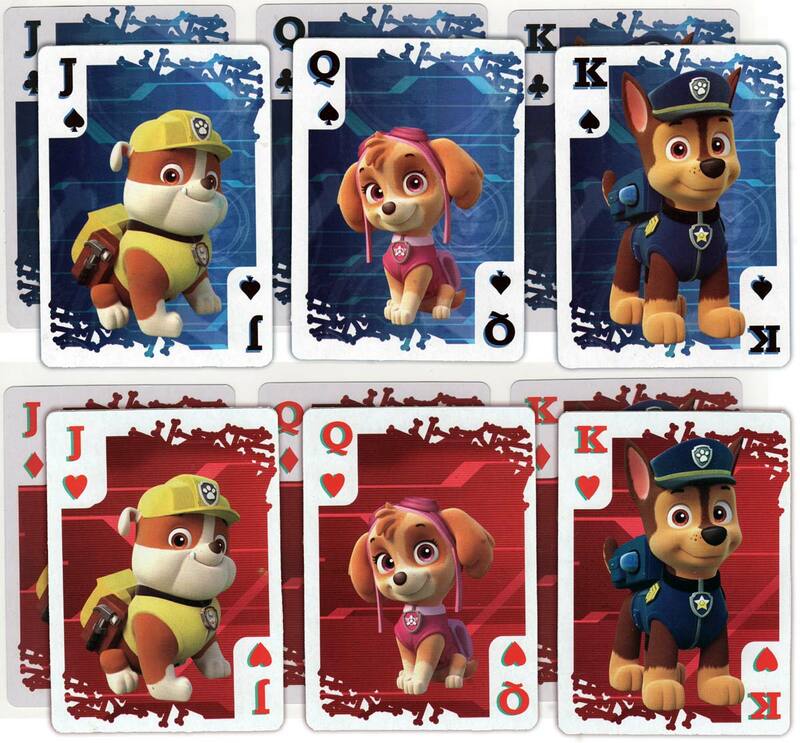 Each denomination of card features a different character from the show, with the same image repeated across the suits but with a red or black background depending on the suit. Above: the cards are manufactured by American company Cardinal Industries in China. Two jokers also feature the same character with a red or a black background and legend. 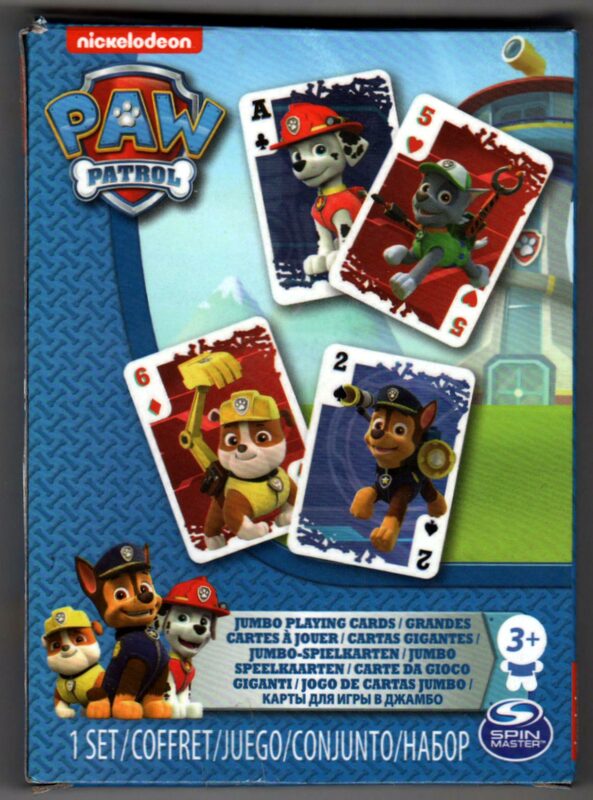 The pack includes two cards with instructions for eight card games, including Snap, Rummy, Crazy Eights and Go Fish. © Spin Master PAW Productions Inc. Images courtesy Matt Probert.